We’re all guilty of it — leaning over a freshly laid bed sheet, staring at the mattress corner like a rubix cube…straining to recall which way to fold what part of the sheet to create that perfect, taut little crease…and then, defeated, cramming the sheet under the mattress in shame. Well worry no more! The time has come to master the incredibly simple (and yet mind-blowingly difficult) art of the hospital corner. Ready to knock the socks off of your mom the next time she visits? Then this tutorial is perfect for you! Even if you’re not a fan of making the bed every day, hospital corners embody a sense of tidiness, coziness, and overall efficiency that is unmatched in bed making. At the very least, folding a beautiful hospital corner will give you a glowing sense of pride! In order to create a clean corner, begin with the fundamentals. 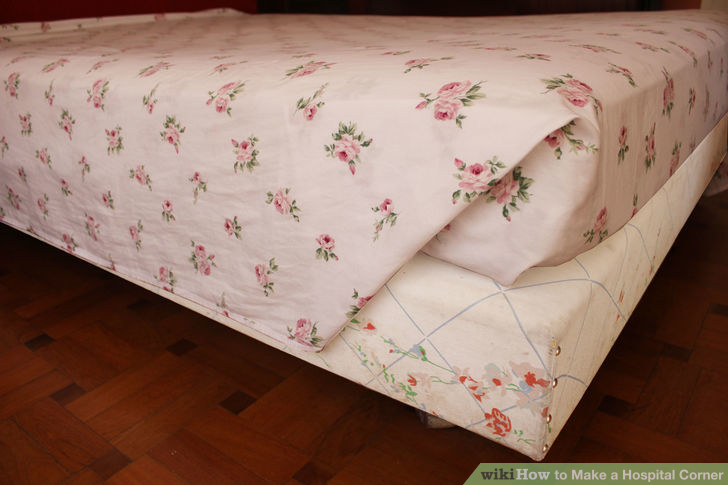 Tuck the entire back end of the sheet under the mattress, making sure it’s even and neat through out. 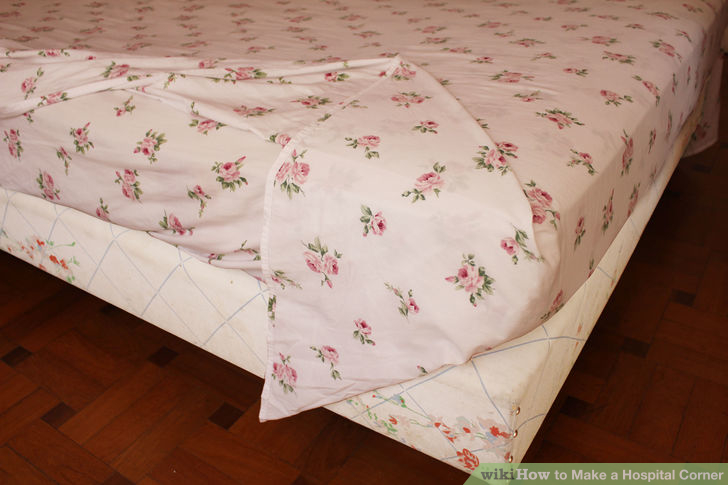 Take the corner hem of the sheet and tug it up on top of the mattress. This creates a relatively straight line with the sheet that will soon become the essence of the hospital corner. Now tuck the underbelly of the untucked sheet under the mattress. Drop the top corner of the sheet down, creating a crisp, clean line. Good news: you’re 99% done! 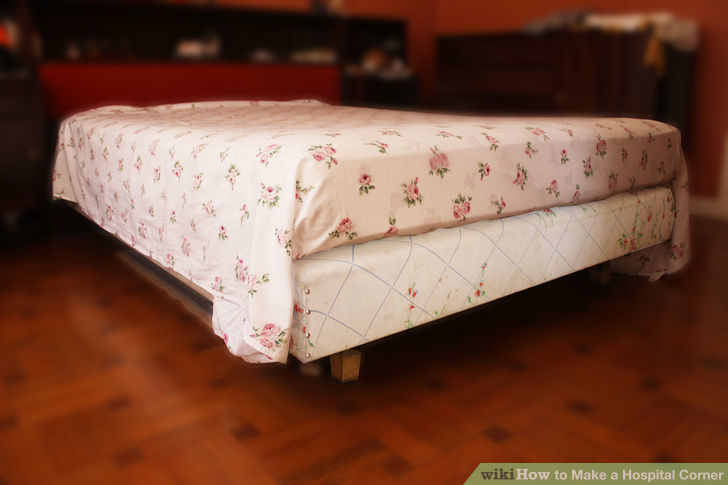 Simply finish by tucking the remaining bit of sheet under the mattress, straightening out any wrinkles along the length of the bed…and voilá! A perfect hospital corner! That’s all there is to it! Although 9 out of 10 bed makers will wind up hiding their impressive hospital corners underneath a heavy comforter, the satisfaction of a tightly pulled bed sheet is worth this small effort. If you’re hungry for more bed sheet tips, check out the Purple Fig’s article on How to Fold a Fitted Sheet!